Nunc Carrier Plates are designed for versatility in your research. The system for manipulating multiple inserts can be used for individual compartment cultures or cultures with shared media. Use with up to 12 or 24 inserts at a time. Uniquely engineered carrier plate features a support structure that enables variable height. Simply rotate the insert to engage one of the three height-adjusting tabs into the carrier plate supports. 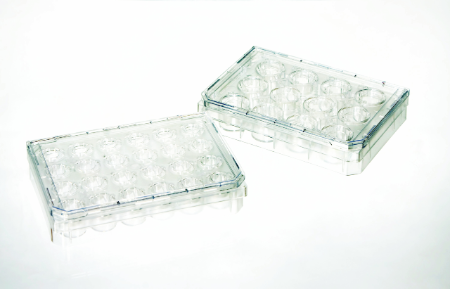 Our cell culture inserts and carrier plates meet ANSI standards and are equipped with alphanumeric well identification; all items are USP Class VI, sterile and include lids.